Michael Sorkin is widely hailed as one of the best architecture critics writing today. Iconoclastic and often controversial, he is a witty, entertaining, yet ultimately serious writer. In this new collection, Sorkin reviews the state of contemporary architecture and surveys the dramatic changes in the urban environment of the past decade. From New York to New Delhi, from Shanghai to Cairo, Sorkin offers a sweeping assessment of the impact of globalization, environmental degradation, electronic media, rapid growth, and the legacies of modernist planning. 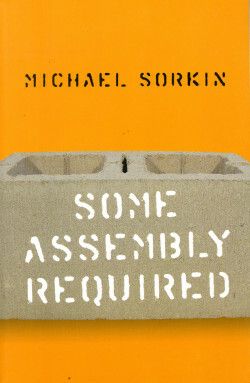 Whether laying out, manifesto-like, eleven necessary tasks for urban design, providing a fresh take on the Disneyfication of Times Square, grappling with sprawl, or blasting the nostalgic prescriptions of “new urbanist” communities (which he dubs “Reaganville”), Sorkin makes a compelling argument for an architecture and urbanism firmly grounded in both artistic expression and social purpose. Michael Sorkin is principal of the Michael Sorkin Studio and professor of architecture and director of the graduate urban design program at New York’s City College. He is the author of Giving Ground (with Joan Copjec, 1999), Wiggle (1998), Exquisite Corpse (1994), and Variations on a Theme Park (1991), and his writing has appeared in the Village Voice, Metropolis, the New York Times Magazine, and other publications.